NOTE THAT FAKES ARE KNOWN TO EXIST OF COIN 33a – They are poor in style (particularly the bust of the Queen) and are missing their edge inscription. The brass coloured part is slightly magnetic and if you look closely they are in fact made of one single metal instead of being made of two parts. 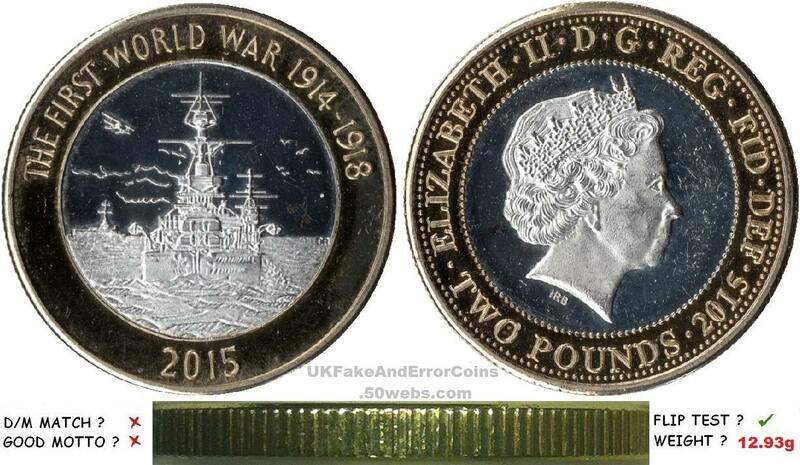 They also have the wrong obverse, which shouldn’t feature the date. See image of fake coin below. NOTE THAT FAKES ARE ALSO KNOWN TO EXIST OF 34a – They are poor in style (particularly the bust of the Queen) and are missing their edge inscription. The brass coloured part is slightly magnetic and if you look closely they are in fact made of one single metal instead of being made of two parts. See image of one of the fake coins below. 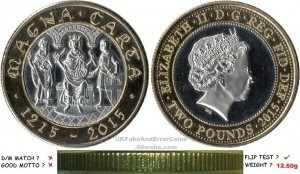 Other types exist with the incorrect date range ‘1215 – 2016’ on the reverse! 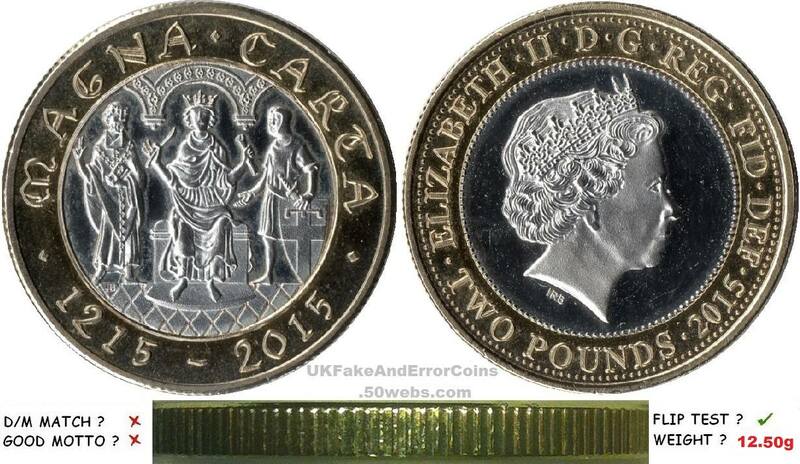 FAKES ALSO EXIST OF THE 2015 BRITANNIA £2 COINS – Examples that I have seen don’t have the words ‘TWO POUNDS’ on the reverse. See this post.